The second book in the internationally bestselling Septimus Heap series by Angie Sage, featuring the funny and fantastic adventures of a wizard apprentice and his quest to become an ExtraOrdinary Wizard. It's been a year since Septimus Heap discovered his real family and true calling to be a wizard. As Apprentice to ExtraOrdinary Wizard Marcia Overstrand, he is learning the fine arts of Conjurations, Charms, and other Magyk, while Jenna is adapting to life as the Princess and enjoying the freedom of the Castle. 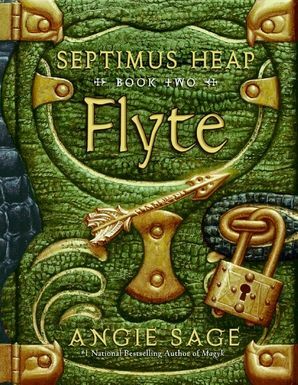 Bringing fantasy to new heights, Angie Sage continues the journey of Septimus Heap with her trademark humor and all of the clever details readers have come to love.